Join acclaimed author and notable MIT personality Alan Lightman as he discusses his newest book Searching for Stars on an Island in Maine (currently at #1 on Amazon in 'Metaphysics'). This lyrical meditation on religion and science explores the tension between our yearning for permanence and certainty, in a material world that science shows to be impermanent and uncertain. Lightman will weave in his own experience of this dissonance as someone who is simultaneously drawn to the empirical, testable realm of physics while also feeling the allure of being connected to a larger and transcendent eternal reality. 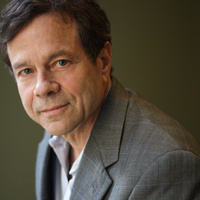 Followed by refreshments and book signing with Alan Lightman. Copies of Searching for Stars on an Island in Maine will be available for purchase at a discounted price!